A new survey carried out by the Institute of Advanced Motorists (IAM) has shown what people believe should be priorities for the new government, when they form next month. The survey suggests that the next government should put real focus on road safety, and potholes too are a major issue. The survey took into account the opinions of over 2000 people and found that over 50% of motorists believe the current government hasn’t put enough focus on road safety, and this needs to change. 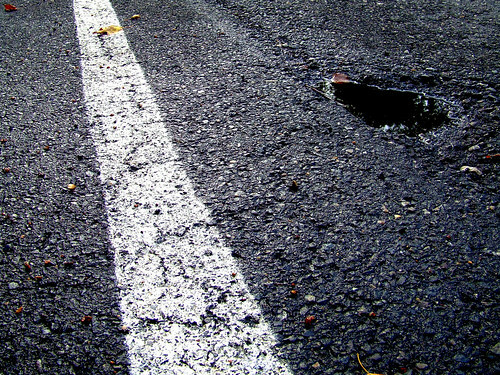 The survey took place throughout March 2015 and found that the number one issue for respondents was potholes and a belief that the government should have reducing them as its number one action point. Over 70% of respondents voted for this and it’s clear, as evidence from the Asphalt Industry Alliance shows, with a backlog of repairs of over £12 billion, they are a serious issue for our streets. Respondents, safety charities and professional driving firms all agree that a long term plan for dealing with the repair work is needed. The second most important point for respondents in this survey was general road maintenance, with 64% believing this deserved more attention and in line with the work needed on potholes, should be something the government have a clear focus on. The third point on the list was more focus on reducing the number of accidents and fatalities across all age groups. 52% of all respondents believe road safety should be a bigger concern for the government and evidence from the government themselves shows that road crashes cost the UK economic £15.6 billion every year. More than this there is the human cost, with the Department of Transport showing that the number of serious injuries and fatalities on the roads had increased 4% year on year from September 2013 to 2014. The new government will form next month and with these points in mind there is hope they will focus closely on these key issues which are of clear importance to motorists on the roads. The other points in the top five of the most important concerns according to the surveyed motorists were that respondents wanted to see the current driving test changed to reflect today’s driving landscape and finally respondents want to see the government increase sentences for those found guilty of serious motoring offences. With over 2000 people involved in the survey it is clear that there is genuine public interest in improvement to our roads, both in terms of infrastructure and the safety protocols in place. It will be interesting to see what the new government actually takes action on and whether all of these concerns are dealt with.